Our guests tonight are Ginger Kathrens, Founder and Exec. Dir. of The Cloud Foundation, and member of the BLM’s National Wild Horse & Burro Advisory Board and Carol Walker, Dir. of Field Documentation, Wild Horse Freedom Federation. Listen to find out the actions you can take to help save the wild horses and burros! 7/8/17 – Ginger Kathrens (Founder and Exec. Dir. of The Cloud Foundation), John Holland (Pres. of Equine Welfare Alliance), Katlin Kraska (Equine Lobbyist for ASPCA), Cory Golden (Advocacy Coordinator for Return to Freedom), and R.T. Fitch, (Pres. 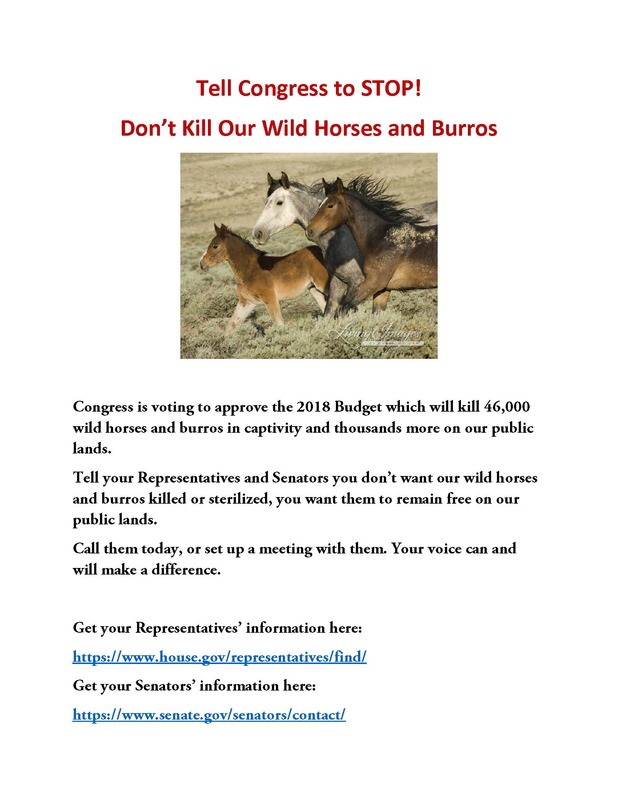 of Wild Horse Freedom Federation), on what you can do to help save the wild horses & burros from slaughter from language in the 2018 Budget. Listen HERE. 7/12/17 – Gayle Hunt, President & Founder of the Central Oregon Wild Horse Coalition, on their efforts to preserve the wild horses on the Big Summit HMA, in the Ochoco National Forest, about 30 miles east of Prineville, Oregon. Listen HERE.